Preparations for the festival begin almost a week ahead. what is called "Ugadi Pacchadi (Ugadi Chutney). This Chutney is made from neem flowers, mango juice, honey sugar and other ingredients with different tastes. The inner significance of this preparation is to indicate that life is a mixture of good and bad, joy and sorrow and all of them have to be treated alike. All experiences have to be treated with equanimity. Every one should make a resolve that he will face calmly whatever happens in this year, accepting it with good grace. Welcome everything. Consider everything as for one’s own good. Men should rise above sorrow and happiness, success and failure. 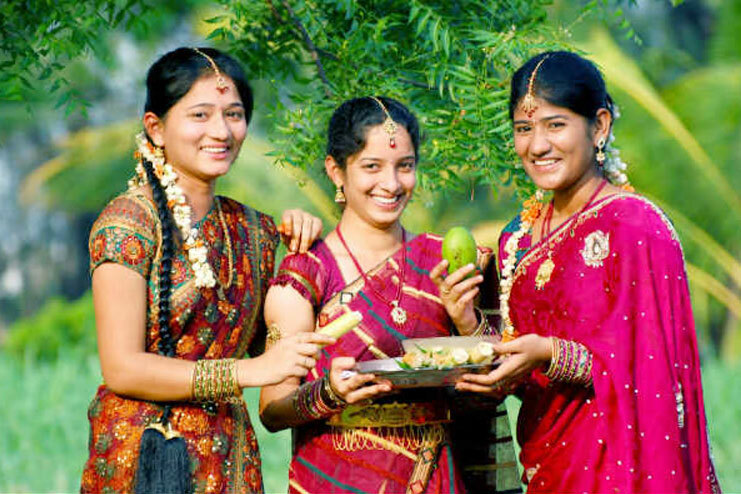 This is the primary message of the Ugadi festival.